Chile and Argentina established a Boundary Agreement in 1881. In 1978, the two countries threatened war over a border dispute. The dispute was actually over Picton, Lennox and Nueva islands and the related maritime jurisdiction. Argentina actually began making claims to the islands in 1904. However the two countries reached agreement in 1984 that settled outstanding issues. The Argentine junta amplified the claims to a near dispute. 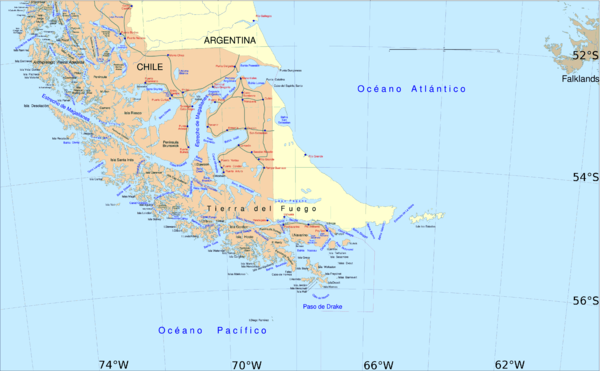 As a result, Chile supported the United Kingdom against Argentina in the Falklands war of 1982. There is no doubt that these cold, snowy islands are more about navigation rights and EEZ claims, especially as climate change makes these areas more likely to see economic and strategic importance. It established limitations line in the Straits of Magellan.